Sunday afternoons are the perfect time to make cookies, in my opinion. You have a little free time and then you get cookies for the rest of the week! Yum! 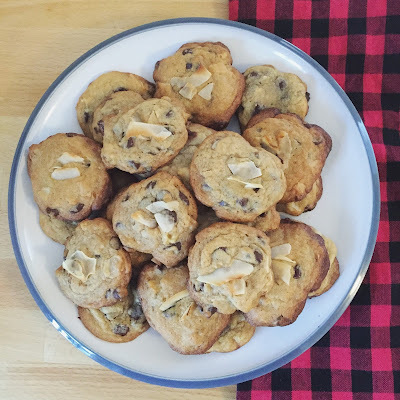 Today I want to share a recipe for Chocolate Chip, Walnut, + Coconut Cookies. They're great to bring to a cookie exchange or to give as a gift, even to bring to a Christmas party! 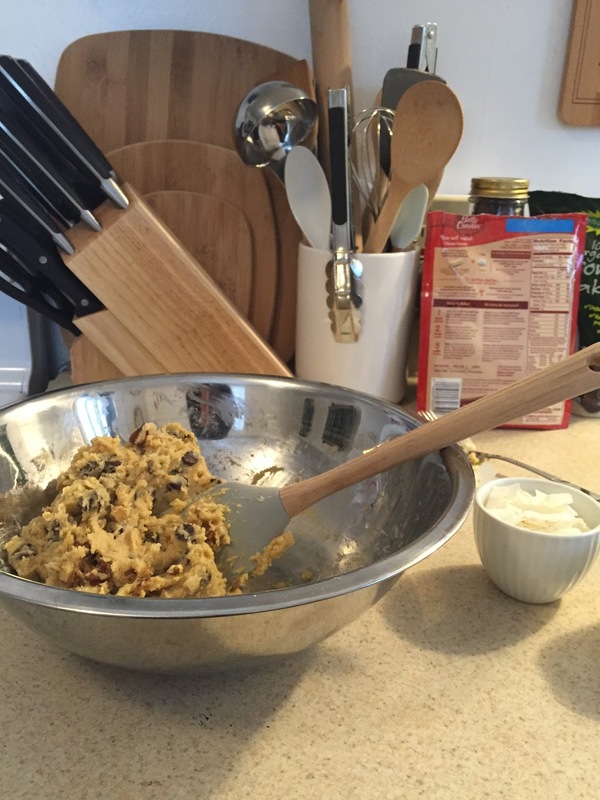 I took a basic chocolate chip cookie mix and added some walnuts and coconut flakes. Super simple! 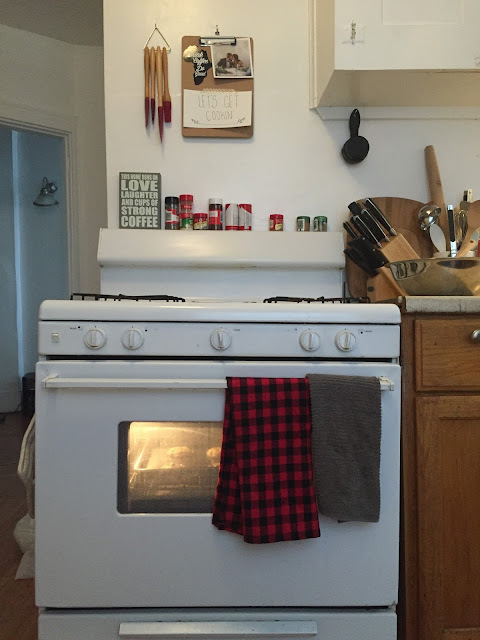 Everything you'll need for these cookies! Mix everything together and add the coconut last. use shredded coconut for easier mixing, too. Now, we wait... and wait. to have in the cookie jar at home. Enjoy! + Preheat oven to 375 degrees. 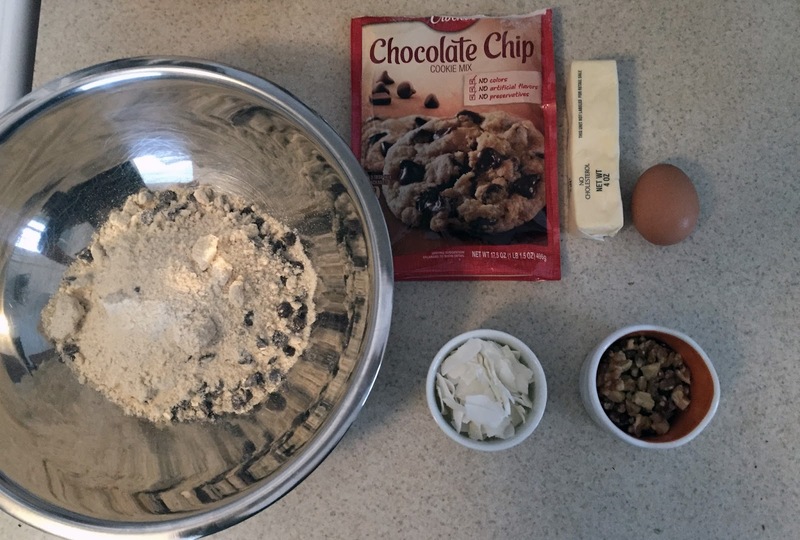 + Follow Instructions on the cookie mix and stir all ingredients together in a large mixing bowl. + Add chopped walnuts and mix until incorporated. + Add half of the coconut to the mix and stir. 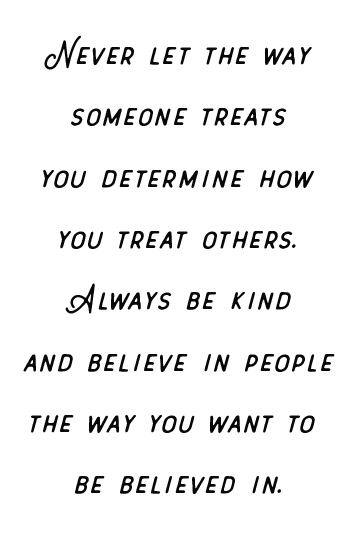 Add the rest until incorporated. + Spoon cookie mix onto non-stick cookie sheet by the spoonful, making sure to get all ingredients in the spoonful. About 6 cookies should fit on one tray. + Bake cookies for 7 minutes and remove from oven. Add 1-2 pieces of coconut flakes on the top of each cookie and press lightly. Bake for 2-3 more minutes. + Let cookies rest on the sheet for 1-2 minutes and then remove to cool.